Why choose SelectDFW hired limousine and sedan service when there are many other transportation options in Dallas? 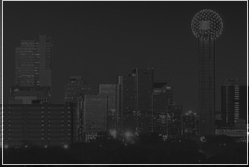 SelectDFW is all about class and with DFW Town Car Service you can experience class at its best. Seated in the comfort of the sedans, limousines and cars we offer you at DFW Town Car Service, you cannot help but feel classy. We want you to get started with the feeling of class the moment you make your booking with Dallas Airport Transportation. Our online reservation system is convenient and easy to use. Our helpful staff will guide you with the right choice of vehicle based on your travel needs. We make arrangements to provide you with a courteous, uniformed, experienced and licensed chauffeur who will drive you to your destination and attend to your needs on the way. Dallas Airport Car Service strives hard to give you a classy experience, not because we have to but because we want to. They say class comes at a heavy price; but, this does not hold true for DFW Town Car Service. We find it much more meaningful to serve you when our prices are reasonable because we want to give you an all round experience that ends in customer satisfaction.